No need to Tweet to win! The blawgosphere has been awash over the past week or so with posts concerning what has become known as ‘Law Firm Twitteratigate’. I have commented on many of these posts and thought it might be useful to do a Roundup of all the posts involved in one place. Despite having zero tweets Norton Rose’s account, which ranked number 10, scored 88 points in the survey, only two points below Olwsang, which has posted over 100 tweets. Other firms that made it into the top 10 were Withers (fourth place), Clifford Chance, DLA Piper (real estate group), Shoosmiths, (joint fifth place with Olswang) and Taylor Wessing (sixth place). Providing a ranking which had in the top ten a Twitter account with zero tweets was going to be a red rag to a ‘real’ Twegal (a legal who tweets – see @Twegals). It is not often that I get to laugh when I read stories about major law firms in the legal press… but this report from The Lawyer must be a parody….surely? Charles Christian (@ChristianUncut) summed up the actual Twitter activity of the Top 50 UK law firms neatley with his headline at the Orange Rag: Tweeting without a clue? Surely as soon as you see a firm in 10th position in terms of ‘Quality of Twitter account’ with no tweets at all that must say that the whole grading exercise is a joke. I would be embarrassed to put my name to this survey. What this survey shows is that the big law firms do not use twitter to any extent at all, they don’t network, they don’t contribute and in some cases they do not tweet at all! I’ve just checked the Norton Rose and Allen & Overy Twitter accounts. If I worked in NortonRose comms, I’d have made sure I’d Tweeted something by now about why I hadn’t Tweeted before. And if I worked in Allen & Overy comms, I’d probably be Tweeting something self-congratulatory about the intendance research. Twitter silence however in both courts some 8 hours after @lawyercatrin Tweeted the story. All of the firms listed in the report simply use Twitter as an RSS feed, posting content (most likely automatically) from their website as and when it’s updated. Sure, it’s useful information at times, as are emails that the same firms send out occasionally. I don’t think I’ve seen any of those firms be bloody social. I can just imagine going to a function with their nominated tweeter. The fact is you’d have walked off after round one. On twitter we lawyers all follow the big firms but that doesn’t mean they are good at twitter. Lawyers get involved in tweeting on industry issues/topics. The legendary quality that law firms are supposedly so bad at. At this stage, law firms actually get seriously involved in their “community”, with regular replies, RTs and comments. Although there are sole practitioners, small partnerships and individual lawyers that do this, I am not aware of any mid- or large-sized firm (say, >10 partners or equivalent) that has managed to do this. It is very difficult to get “engaged” when you are sending tweets from behind a corporate logo. Twitter is essentially a form of networking, and networking works best when it is personal. You would not send someone along to an industry conference with their face covered with a paper bag with the firms logo on it – and in the same way an account works best when it has a human face on it. The best way I can see this working for larger firms is using Jon Bloor’s concept of “tweeting in convoy” – the firm’s account(s) being supported by individual accounts operated by and in the name of individual lawyers within the firm. Maybe Norton Rose is making a sophisticated, situationist protest at the prevailing culture of instant gratification that has reduced human interaction to a series of illiterate 140-character rants about Charlie Sheen’s sexual proclivities. Or maybe someone just signed up one drunken Thursday night and promptly forgot about it. Either way, apparently only nine firms are better Twitterers, which makes one wonder what those other firms are wasting their time with. But A&O will be happy at least after being revealed as the nation’s top legal Twitterer, beating DLA Piper and Eversheds into second and third place respectively. Still, if, as Norton Rose demonstrate, you can get into the top ten by doing tweet FA, you have to question whether this is a prize worthy of Wim Dejonghe’s mantelpiece. To paraphrase Michael Winner “calm down people, it’s only an idea of quality”. They agreed that Twitter Grader was not perfect, pointed out that this was to give an idea of quality and stressed that they flagged up the discrepancy relating to the Norton Rose Account. They also made clear that the whole point of the Report was to look at the top 50 UK law firms and not the smaller firms who may well be using Twitter better. What is interesting is the common theme to emerge from the criticism of the report: namely that many of these firms fail to interact with others, and simply use Twitter as another way of distributing news and press releases. We did point this out in the report, and it is clear that to be effective, Twitter users in a business environment must engage with others on a more personal and genuinely informative level. Normally, I would stay well clear of a PR disaster. However, Intendance’s and The Lawyer Mag’s own goal is a gift for legal bloggers which just keeps on giving. There are just so many lessons to be learnt from this situation – which is still evolving as many legal bloggers get their teeth into the abundant material. The Agency would have learnt about the 4 Cs needed to build a meaningful social media strategy, and realised that it takes more than just content and connections to achieve decent results on Twitter. You need to have CONVERSATIONS. And that is the key point. The top 50 law firms are all declining the opportunity to have CONVERSATIONS on Twitter. Which until they do, will stop them deriving any meaningful impact from their time and effort on Twitter. To check that Klout is more reliable than Twitter Grader I plugged in @nortonrosegroup – an account which hasn’t tweeted yet, but made it into Intendance’s no 10 spot for its top law firms on Twitter. Klout told me that the account either doesn’t exist or hasn’t got a profile yet on Klout… If you are using Klout any score over 50 shows that the account is pretty healthy and tweets regularly and has a meaningful amount of influence. Out of the top 50 law firms in the UK, we don’t have any of them using Twitter effectively. To me that suggests that either these law firms don’t have the motivation to use Twitter properly, OR they are getting poor quality advice on effective use of Twitter. But even Klout is technically irrelevant because anyone – legal or otherwise – should have their own benchmarks and goals for social media usage. That should be the only metric that matters. Define your goals at the start and have everything aim towards them. That way, you know if your social media activity is successful or not. You may only have 10 followers on Twitter but if they are the right 10 followers then that beats 100,000 random followers. Of course, we’ll know the tweagles have really taken to social media when we see their services appear as a Groupon discount offering! Intendance’s research suffers from one standard flaw. It canvassed Twitter activity among the top 50 firms in an attempt to derive a wider sense of usage by law firms generally. Even though the research made this reasonably clear, detractors promptly accused it of providing a misleading picture of the market as a whole. But maybe the problem lies with our expectations, that we are still looking for the definitive analysis of Twitter usage in the legal sector and that we expected the Intendance research to fill the gap. Twitter is a two-way medium. It is a place for conversations. The lawyer who joins the golf club just to sit at the 19th hole and listen to other people talking is wasting their time. You need to get stuck in. Play the game, walk the course with people who have similar interests, and talk. Many of the lawyers leading the way here are from smaller firms that do not have quite the same corporatised fear of the disruptive potential of social media. While larger firms fear the loss of ­control the medium implies, that is to miss the point. The idea that a message can be broadcast and received as some sort of elegant soliloquy is outdated; social media, for all its faults, allows proper dialogue that ordinary email does not. Of course, the larger firms that have ­institutionalised clients have no need to develop their business online in terms of chasing mandates. But in terms of getting involved in debates on legal topics it has an extraordinary potential. Given that so many firms are starting to think seriously about thought leadership, they should think about this. At The Lawyer they were now getting the gist of how Twitter is being used and the sector of the legal profession that is actually using it well. With this enlightenment we can, I hope, now look forward to better balanced articles on Twitter from The Lawyer than the one that sparked Law Firm Twitteratigate. The study by web consultancy Intendance found that 66% of firms had set up at least one account on Twitter. However, of the 48 accounts, 19 had issued no tweets at all, despite some having hundreds of followers. Intendance said the figures suggested ‘many firms have simply jumped on the social media bandwagon without putting much thought into how to use Twitter to their advantage. By neglecting potential followers, those with dormant accounts could even be damaging their brand’. It added that failing to tweet once an account was set up was akin to ‘inviting friends to your new flat, and not having any furniture or decorations’. The Times (@TimesLaw) steered clear of Twitteratigate and instead published an article on Why it’s time to open a corporate Twitter account. As I am quoted in this article I know that it was being prepared just before Christmas and it was simply a coincidence that it was published in the midst of Twitteratigate. I have no idea whether the fact that The Times published a list of the ten best legal tweeters on Twitter to accompany that article was also a coincidence. Their list is @Inner_Temple, @CharonQC, @RichardSusskind, @DavidAllenGreen, @RichardMoorhead, @in_house_lawyer, @copyrightgirl, @legalfutures, @LegalBizzle and @TheNakedLawyer. On the whole these are excellent Twegals and the Top 5o UK law firms could learn a lot from following and more importantly engaging with them. I must, however, say that whilst I admire Richard Susskind he should not have been on this particular list. Richard is slightly better at Tweeting than the Norton Rose Group in that he has posted (as of today) 76 tweets. However, all of these are broadcast tweets. Richard has not engaged once with anyone on Twitter. Furthermore, he protects his tweets (goodness only knows why). He has, however, allowed me to follow him. I trust he will not now block me! A rather odd list of 8, not dissimilar to the Intendance top 10 and again including the non-tweeting @NortonRoseGroup! This list also includes another non-tweeting account: @HerbertSmithLaw, who have not followed anyone yet (@NortonRoseGroup on the other hand have managed to follow two – including their own Australian account, @nortonrose_au, which does actively broadcast). The big firms just pump out a constant stream of heavily legal information, which is the surest way to kill off any kind of creative exchanges with people that might actually be of interest to them as a law firm. Charles Russell: @Oxfordlawyer @rym86 @Basers87 @ShaydaY @JamesQuartermai Basers and Rym newish. Shayda and James not active. As Andrew Sharpe says “not many and only about 8 active”. I wonder if this explains the poor quality of the corporate accounts in the top 50 UK law firms? Andrew also points out that no City Law Firm tweeps in his list officially represent their firm. Neither does he for Charles Russell. Is this also a ‘problem’ that the top UK law firms need to address if they want to achieve an effective Twitter presence? My advice? Ignore the marketeers, I have so far not found one who knows even the beginnings of what they are talking about regarding lawyers anyway. Stop thinking about Twitter ROI. See it as fun, carry on making friends, widening your circle, and enjoy the referral work which flows from that. Learn how to deal with clients who are outside the geographical range of your office on a remote basis. A final thought. If you have been on Twitter a while and are not getting referrals, you are, I respectfully suggest, doing it wrong. What are your views on the Intendance Report? Do you think we need to measure law firm effectiveness on Twitter and if so how should we do it? Why do the smaller law firms appear to be managing Twitter better than the big law firms? What should the big law firms be doing to improve their lot on Twitter? Any other thoughts? Steven Mather on 23/01/2011 at 2:04 pm. Great article but so comprehensive I need more time to come back to read it.. Thanks very kindly for the link to my site! Brian Inkster on 24/01/2011 at 9:49 pm. Hopefully you will have had the time to come back and read it by now, including the many comments. Do feel free to add to the discussion if you find the time. Ahem on 23/01/2011 at 3:41 pm. Brian Inkster on 24/01/2011 at 9:59 pm. However, that is not the impression I get from looking at their Twitter stream. Not a lot of engagement going on. @rbratby on 23/01/2011 at 5:38 pm. 1. Law firms, big and small need to engage with social media. However, lawyers are innately conservative and we need to remember that it is still only the early adopters using social media – for many of our contacts face to face and telephone remains, and will remain, the primary way to engage. 2. On-line or off-line people engage with people (not people with firms), so whilst law firm tweets are fine to push content out, individuals within the law firm need to have their own presence and voice. 3. You can’t look at twitter in isolation. It needs to be considered alongside LinkedIn, blogs, Facebook and other methods of engaging. Brian Inkster on 24/01/2011 at 10:12 pm. 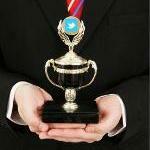 It seems, however, that you are one of very few within the Top 50 Law Firms who tweets. Why do you think individual lawyers within the larger firms are not taking to Twitter? Are they perhaps favouring LinkedIn over Twitter? I agree that Twitter has to be part of a mix. I know from a Twitter exchange that Amanda Bancroft was disagreeing with you on blogs being part of that. I hope she will expand on this in the discussion here at The Time Blawg. @rbratby on 24/01/2011 at 10:38 pm. I think the answer is rather simpler, very few use twitter (professionally or otherwise) and ‘new’ things take a while to work through an inherently conservative (small c) group. It will change as cohorts of digital natives become more senior. One thought experiment is to consider whether you could ever put an out of office reply on your email ‘I am working but not checking email. If you’d like to contact me please call, tweet or IM me’. Right now (at least in large law firms) this would be unthinkable as it doesn’t meet client service expectations. My question is how long before this becomes normal? Bear in mind that this is the first year where email volume is dropping and teenagers use IM in preference to email. Brian Inkster on 24/01/2011 at 11:00 pm. I Tutor at the University of Glasgow and have been told that there is little point e-mailing the students (who hope to become Trainee Solicitors later this year) as they rarely check their e-mail accounts. They will have to get used to old fashioned e-mail when they start those traineeships. What you envisage (or at least a variant of it) will become the norm through time. Not this year though. Will be interesting to see if any visitors to The Time Blawg are indeed brave enough to try it now rather than wait for the future. Betsy Munnell on 23/01/2011 at 5:41 pm. What a wonderful article. It’s terrific- in part because it’s stunningly comprehensive, well written and organized, in part because it’s just so useful. Then there’s the fact that it’s so funny. What a blessing. Your conclusions will not –I would hope–surprise any lawyer already using Twitter and other social media strategically. Even those who deploy Twitter, without engaging, solely to gather the best and latest of news and information, are aware of its broader business uses. Not so the vast majority of the profession, of course. Obviously, US based firms are equally “clueless”. The good news: a number of them have figured out the value of blogging. Yet few use Twitter (properly) to distribute their blog posts. This baffles me. I practiced for 30 years and was a partner for 24 years and am very rare in using and engaging on Twitter. I have a coaching and training business now–committed mainly to the professional devlopment of young lawyers–all of whom I shall convert to tweeting, I promise. But so many educated, intellectually sophisticated, competitive, grown-up attorneys persist in explaining their resistance to social media by making nervous references to Justin Bieber and Wikileaks. It’s embarrassing really. I should know better: Lawyers are not fans of change. They are prone to intellectual snobbism. Many are over-worked, afflicted with the conviction that the billable hour is all that matters. Few joined the profession aware that they would have to eat what they killed (or that no one would teach them to hunt). They are not a collaborative bunch–in fact, an isolated silo practice will do just fine, thanks, for many a rainmaker. And only a few have sufficient regard for the skills of non-legal professionals, from CIOs and CFOs to professional development and marketing directors. In sum, the average lawyer is not an especially good business person, and s/he sees no reason to become one. Clearly, and the data in your post makes this point many times over, young lawyers need to teach themselves how to use social media for their careers. They cannot wait for their firms to catch up–not if they wish to build self-sustaining practices, not if they wish to survive this economy and the coming revolution in the delivery of legal services. Thanks for your post–I am about to undertake retweeting and #ff campaigns of staggering proportions. Brian Inkster on 24/01/2011 at 10:32 pm. Interesting that the US based firms are equally “clueless”. I thought they might have been a little bit ahead of us at this side of the pond. Also surprising what you say about bloggers not using Twitter well to distribute their blog posts. The Time Blawg has been found by so many in a very short space of time due to the power of Twitter and the Retweet. Over 350 click throughs from ow.ly on Twitter alone in the past 32 hours. You sum up a typical lawyer well in your fifth paragraph and I think I will quote your sixth paragraph to my Diploma in Legal Practice students at the University of Glasgow on Thursday. Samantha Collier on 23/01/2011 at 6:41 pm. Excellent article Brian. One of the best I’ve seen on Twitter use by lawyers and law firms to date! Brian Inkster on 24/01/2011 at 10:42 pm. Really just a compilation piece. It was all the other blawgers who provided the good content. However, it is nice to bring it all together in one place for posterity. Samantha Collier on 25/01/2011 at 11:51 pm. I’ve often wondered about if potential clients, be it individuals or corproations, would look on Twitter for law firms, and if so, would they interact with a logo or brand. I think it’s best for law firms to create a single page and then list the individual tweeters who manage the account. This way the potential client knows there is a person behind the name. Most people do business with people. Brian Inkster on 29/01/2011 at 9:47 am. All the better if those individual tweeters operate their own Twitter accounts and engage from those. Very happy for you to explore the dinner party metaphor at The Time Blawg. Sounds very interesting rather than boring. @andrewjbreeze on 23/01/2011 at 6:53 pm. Great article, and the conversation point is key. I think that for corporates in general (and so this probably goes double for risk averse sectors like law) the shift from website updates to posting on Twitter is not an easy one to make. The former is like blogging: you can consider your words carefully (if you want) and then release them into the blogosphere like so many flying monkeys. Twitter is much more reactive. You have to be ready to participate in real time, and explore ideas in a much more dynamic way. You can’t just fire and forget, because otherwise you might as well not be online. I suspect that’s why most Twegals are online in an unofficial or (like @rbratby) semi-official capacity. That way if you do say something in haste, it’s only you and not the firm that has to repent it. So following that thought, can a LLP realistically speak for all its partners via a single Twitter account? Maybe we should just leave it to the unofficials who have license to engage more fully. Will be interesting to see what the solutions are going to be. Brian Inkster on 24/01/2011 at 11:23 pm. Amanda Bancroft on 23/01/2011 at 6:57 pm. Thanks for a super post Brian, and for sending the original report through. Firstly, I could not ascertain who commissioned the report, and was interested to discover whether it was a law firm (particularly if it was one of the firms mentioned in the report’s Top 10), or whether the agency self commissioned because they are looking to enter legal marketing. Whichever, and not ignoring there could have been a third reason behind it, I do not believe the research was undertaken purely altruistically. Secondly, the report made no sense to me, and what I know of legal tweeters. Given I know quite a few of you, I could not help come to the conclusion that the report focused on large firms because of a desire to target them in engaging the agency for marketing purposes. I am of course happy to be proved wrong. Thirdly, I believed it to be flawed given the outcomes. I was very tempted to stop reading after the Top 10 included a high ranking firm with no tweets! Do you think we need to measure law firm effectiveness on Twitter and if so how should we do it? If a firm/lawyer is receiving referral work, no, I don’t believe we should measure law firm effectiveness, as I do not believe, other than WOM referrals, there is any way to measure Twitter effectiveness. Why do the smaller law firms appear to be managing Twitter better than the big law firms? Smaller firms are able to take more risks as they are less likely to be managed by committee and more able, in this sphere at least, to be innovative. What should the big law firms be doing to improve their lot on Twitter? I’m not personally convinced this is the right question. If Twitter use is all about increasing a profile and getting work via WOM referrals (which is my belief), it is not the right tool for the bigger firms, as it is simply not where their clients are likely to hang out. At the moment, anyway. As a final point, one of the great things about the legal group I engage with on Twitter is the level of collaboration, which is fabulous to see. They are genuinely a super group of people who appear always willing to help each other out. If nothing else comes from their Twitter use, that collaboration, in my opinion, counts for a lot. Brian Inkster on 29/01/2011 at 10:05 am. What you outline very much reflects my own experience of Twitter as a lawyer. When I first started using Twitter (now almost 2 years ago) I wondered why so many lawyers were following me. Why would I want to tweet with my competitors?! I surely wanted to be tweeting with clients? Fast forward 2 years on and I tweet more often than not with other lawyers rather than anyone else. But, as you say, those lawyers provide referrals and I likewise give them referrals. This is perhaps where the bigger firms may be missing out. Their clients may not be hanging out, at the moment anyway, on Twitter. However, other lawyers who just might refer work to them that they can’t do themselves are. Totally agree that the collaboration on Twitter is fabulous and counts for a lot. I am sure that there must be more individual lawyers in the Big Law Firms who would fit well into this super group of people. Maybe through time some more of them will dip their toes into the Twitter stream. Chrissie Lightfoot on 23/01/2011 at 7:21 pm. As ever. You crack me up – positively, I hasten to add 🙂 Fab article; an excellent summary of the OO-AH going on re. SM and in particular law firm (and lawyers) use of twitter. It used to be that location, location, location was a marketing mantra. Times have changed. It’s CONVERSATION, CONVERSATION, CONVERSATION. And those of us who truly get it, ‘get it’. It’s the main thing I share with clients, colleagues and friends. It’s all about GIVING. Conversing and engaging with a view to giving and sharing is simply all about being human. It’s going to be a challenge to humanis lawyers, I can see that. However, it is achievable. Look at you and all of those who do ‘get it’ and are using SM in the way it was intended. It’s kind of like an emotional equity bank you see. I expand on this idea in The Naked Lawyer eBook (and, as you know, I haven’t got the space here to cover it all). Suffice to say, I reckon you were a guardian angel hovering over me when I wrote the eBook. Thanks for your inspiration Brian and for sharing more of wisdom with us all. Brian Inkster on 29/01/2011 at 10:22 am. Indeed, conversation and giving are key to using social media. Lawyers are, on the whole, good at conversing and should not have any great problems on that front. They will stumble on the giving though as the mindset is time = fees. They need to read The Go-Giver by Bob Burg and John David Mann. I am grateful to Julian Summerhayes for directing me to it. @AdamManning on 23/01/2011 at 8:07 pm. The initial report seems to be yet another instance when focussing on the big law firms entirely misrepresents what is actually happening out there. There are a lot of really great lawyers and professionals in the legal field who tweet and it’s been a pleasure for me to get to know a little bit more about them. And that’s how twitter works. You get to know people and what they do and so if you ever need to contact someone in that field you are much more likely to go to someone you know. It’s a wonderfully easy type of networking where informality reigns and everyone is on a level playing field. I’ve been tweeting to my advantage for sometime and have got clients and cases purely as a result of my engagement with twitter. I do it for fun but its paid dividends in business terms as well. I’ve also made some great professional contacts which I place a lot of value in. Just tweeting links to press releases on a website is a very poor way to tweet. No one’s going to mind if that goes on intermittently amongst all the chat, anecdotes and witty comments but to merely tweet at that level is a sign of a committee style organization that does not want to engage at the individual level that clients, big and small, want in this new age. It’s probably better not to bother with it all if that’s what you are going to do. And then to have a report, with a follow up article, that actually suggests a firm with a twitter account that has never tweeted is to be ranked as one of the most influential is completely bizarre. Lawyers have always had a reputation of being non-tech savvy. I did the LPC in the mid nineties and have worked at firms with no computers of any sort since then. Lawyers were, even into the late nineties, often known to still say “internet” and “email” as if with the quotes and to require full punctuation in emails. So this sort of article just seems to confirm the worst stereotypes of lawyers badly engaging with the digital and information age. It almost suggests they’ve surveyed legal tweeting, the twegals, without actually looking at twitter at all. Brian Inkster on 29/01/2011 at 10:42 am. You make some great points. Incredible to think of law firms with no computers at all in the mid nineties and beyond. I wonder if there are any firms at all who do not have a computer in 2011? There must be as The Law Society of Scotland still run a course on ‘manual book keeping for lawyers’! Your level playing field point is very true. I made this very point on Thursday past to my tutorial class in the Diploma in Legal Practice at Glasgow University following my lecture on IT and Marketing in the Legal Profession. Law students can now easily engage with senior lawyers and thought leaders in a way that simply would not have been possible a few years ago. I treat law students, trainees, assistants, associates, partners of law firms no different on Twitter. We are all equals. Colmmu on 23/01/2011 at 9:12 pm. Good article as ever Brian, the poor attention to detail in legal journalism these days rings out in particular when they cover social media. With such excellent blawgers and twegals as you have mentioned, I wonder why anyone really bothers with the majority of legal rags, they’re often behind the times or worse behind a pay wall. Hopefully the programme we’re making will not fall into these pitfalls and really reflect the legal sphere of Social. Brian Inkster on 29/01/2011 at 11:15 am. Some of the legal journalists do take the time to actually speak with the Twegals in the know and the articles they write end up being more balanced and perhaps of some use to those lawyers who have yet to dip their toes into the Twitter stream. However, I agree that there is a lot of rubbish churned out by much of the legal press when it comes to social media. Good point re. just following the Blawgs and Twegals for the information you need. However, many lawyers out there do not know what a Blawg or a Twegal is let alone how to find them. The traditional legal press probably still has a place (for a few years at least) for the dinosaurs that remain amongst us. The programme that you mention sounds interesting. Can you tell us anything more about it at this stage? Julian Summerhayes on 23/01/2011 at 9:24 pm. I am not sure that the Intendance report adds anything to what those on Twitter already knew. I can remember commenting well over a year ago on the lack of blogging action and that led me on to Twitter. I remember following Eversheds but I gave up after a few weeks because it was so dull. For some reason they always start their tweets “Eversheds”. I am sure there is a reason but it is lost on me. The only thing that would interest me is for the top 10 firms to interviewed so I could understand their perspective. Sorry despite your excellent blog post there just isn’t a story in this. Brian Inkster on 29/01/2011 at 11:37 am. I agree that the Intendance Report adds little to what those on Twitter (or at least those that actually get what Twitter is about) already know. But, surely that is not the point. It is the misleading way it has been portrayed in the legal press and thus the impression that this will possibly give to non-tweeting lawyers (who may be thinking of tweeting) that is the issue. I was quite surprised by your comment. As someone who is striving to ensure ‘excellence in professional practice’ and promote social media to law firms, I think there is a great deal to be taken from the huge number of blog posts that have arisen from Law Firm Twitteratigate (surely that in itself demonstrates that there is a story in this). If I was providing advice to law firms on their use of social media one of the first things I would tell them to do was read all the blog posts arising from Law Firm Twitteratigate. There is a great deal for them to learn from this. I am sorry that you do not see this. legaleaglemhm on 23/01/2011 at 9:29 pm. A straight to the point atricle which fascinates me. One only has to follow these law firms mentioned to see lack of engagement and in that (in my honest opinion) they totally miss the point. However I do also think that quite honestly – It dosen’t matter. Lawyers tweet for many reasons – I published a list on my blog and it varies from ‘shooting the breeze’ to accessing legal sources. As an avid tweeter and blogger myself – been tweeting since 2009 ( first under legaleaglehynes then legaleaglemhm I find it hillarious actually that these so called ‘top tweeter LISTS’ actually generate any debate at all. There are LISTS everywhere, top tweeters, top legal tweeters,FF, does it really matter if one appears on a list at all.As professionals we dont need to be on ANY lists. I follow the people on twitter who engage with me.Who follow me back and who discuss topics of interest. some of them are law firms and some may be future clients. Clients are clever you know – if they follow a law firm and only see RT and dont get a response It is hardly likely that they will instruct a non engaging firm. Also I would NEVER recommend anyone to a client if I did not know them. It is therefore unlikely that they will benefit from any referrals – that is their loss. So again I wonder ‘does it really matter’. The strangest thing though is that a clever marketing PR excercise has manged to get lots of lawyers all talking about them and followers clicking o them just to see what all the fuss is about. As a newbie lawyer but an old hand at twitter ( relatively so to speak) I applauded the marketeers for they have done exactly what they set out to do , raise the profile of firms on twiiter.Well done. As for the genuine users and participants of twitter who actually engage, get to know and refer clients throughout our new network then I suggest we leave them to it. My top list for tonight is : Great people, Fantastic conversationalists, self confident and non judgemental tweeeters,brilliant lawyers, awesome law students, terrific academics and guess what you are all on it. Great article Brian as usual , so much come from that Tardis it never ceases top amaze me. Brian Inkster on 29/01/2011 at 11:53 am. Great points. Lists are mostly subjective and one persons list will be different from anothers – we all have different things and people who interest us more than others. The objective list clearly does not work (if we take Twitter Grader as an example of how to generate it). So, yes, the lists do not matter. I do, however, think when they get it spectacularly wrong it is worth pointing out why for the benefit of those who may be mislead by it and think that stage 1 of Laurie’s 5 stages of Twitter use is all they have to do. Jon Busby on 23/01/2011 at 9:52 pm. I am confused Julian how can it be an “excellent post” if there “just isn’t a story in this.” Or is it me? Personally I think it is a great post with great comments…all part of the refining process that is social…changing things niche by niche. Stuff the reports give me conversation any day. Re Legal 2.0 – still working on the mother ship, but getting pulled from pillar to post (in a nice way) by the day job. Thanks for all your patience on this. Brian. Any change you could deploy a ‘Subscribe to comments’ plug in on the blog so we get emailed when anyone comments on your posts? Brian Inkster on 29/01/2011 at 12:09 pm. I was also confused by Julian’s comments and have now responded to him above. Looking forward to seeing Legal 2.0 back up and running soon. I was about to add a comment to Amanda’s Twitter post when it went down but will still do so when it re-appears. Perhaps you will do a post about the hosting problems that you have experienced – I am sure there are lessons in there for all of us. Can you for example have your blog backed up elsewhere to re-deploy it quickly if need be? I had been wondering about a ‘Subscribe to comments’ function on the blog. I am very new to WordPress (since 1 January) and had not worked out the use of plug ins. Your comment prompted me to do so and I installed one on the back of it. I hope that does the trick (although there were a lot of alternative plug ins to choose from). It appears that you can subscribe when commenting or even if you do not comment on a thread. If there is anything else I can do to improve this or indeed any other plug ins that you would recommend then please do let me know. Jon Bloor on 23/01/2011 at 10:00 pm. Great post Brian – and excellent comments. Has taken me a while to get through them all. In my view, the sooner lawyers (and the legal press) get over their obsession with lists and league tables for social media the better. It’s not that I believe that social media results aren’t measurable – but in actual fact the only measurement which counts for anything (if you are tweeting for business development purposes rather than just fun) is return on investment. Twitter grader, Klout etc. can’t tell you anything meaningful about ROI – only the firm itself can measure this… Against the criteria which should have been put in place when the social media strategy was put together. The reason is simple – these tools only give you information about activity on Twitter (and public activity at that – not DMs). Referrals via Twitter don’t tend to arise in a way these tools can measure… Twitter will be one of many touch-points leading to the instruction, but in my experience a DM, an enquiry via your blog, a LinkedIn message or even an email or phone call is the most likely way it will actually occur. Even then, this isn’t a “sale” – generally it is an enquiry which you can either convert… or not. The only person who is in a position to measure this is the firm itself who can tie all these different channels together and (try) to calculate the ROI from activity on Twitter. Any list is going to be based on objective data which may not give a true picture of how valuable the account is (the Intendance report) or a subjective judgement by the compiler (The Times list – I presume, but stand to be corrected). I agree with Brian about the inclusion of Richard Susskind on the latter for example… A great thinker on legal practice, but clearly not an effective or enthusiastic tweeter. Would be interested to know why he was included (and indeed why Brian wasn’t!). Finally, might the lack of activity by the Top 50 firms on Twitter tie back to my comments above… and indicate that they have considered ROI, looked at how their good client instructions arise and from who… and decided that there isn’t a worthwhile reason for them to Tweet other than set up an account to baggsy the name and send out some RSS updates? Maybe I am being over generous, but is it safe to assume that their highly paid marketing execs have completely missed the point? Even more sacriligeously… maybe they actually don’t care what the “legal twitterati” think of their use of Twitter and whether they are building engagement and conversations?! After all, I have yet to see any headlines about Norton Rose losing out on a £2 billion merger as a result of lack of social media engagement. Is this shortsighted? Maybe it will prove to be, but my guess is that for now they don’t think so and there is nothing hurting their bottom line to make them change their minds. Brian Inkster on 29/01/2011 at 11:49 pm. It is likewise taking me a while to work through all the comments and respond to them! “The answer is not specifically. I have been viewing Twitter as part of Inksters’ overall online activity. Whilst we do get direct referrals via Twitter it is very possible that Twitter will be a stepping stone (perhaps a very important one) to one of our websites. Only once a potential client gleans more detail from our website may they then decide to contact us. Without the website they may never have contacted us but there again without Twitter they may not have found the website. Are they a Twitter client or a website client? If you ask them they are more likely to say the website and you may need to probe deeper to reveal the importance of Twitter to the equation. But you are completely right Jon: only law firms themselves can know what the ROI is – however hard that may be for them to measure it. In the long term Big Law’s approach may well turn out to be shortsighted. I will no doubt revisit this point in the future and in Time Blawg style look back to this post when so doing. Laurie A on 23/01/2011 at 11:15 pm. Thanks for the post Brian. 1. Taken on its own terms, there is nothing much wrong with the Intendance report. They are upfront about their methodology, and point out in the report the incongruity of the Norton Rose ranking. The report does not live up to its sub-title “An overview of Twitter use in the UK legal sector” – but taken as a survey of the way in which the biggest 50 firms are using (or not using, or mis-using) Twitter it has some value. 2. I don’t think that we (if that means a community of tweeting lawyers) need to measure law firm effectiveness on Twitter – we will all have our own favourites and unquantifiable personal views about which firms are effective and which are not. Those who manage firm accounts will have their own measures or simply “feel” for whether the account is working or not. However, there will continue to be more and more external surveys in the nature of the Intendance report, which are going to have to rely on some sort of quantitative measures. For that, Klout would be my preferred method – although any results would have to be taken with a pinch of salt because of the essentially arbitrary method and the fact that, as pointed out by Jon, DMs and off-line contact would not be counted. 3. I think the last three questions are connected. If the secret to success on Twitter is “engagement” then it seems to me that it is impossible for a big firm brand to engage (and therefore succeed) on Twitter. If you are running the Eversheds account, who are you supposed to engage with? Actuaries in Adelaide, bankers in Berlin and company secretaries in Carlisle will all be potential or actual clients of the firm, but have very little in common with each other. What will interest an actuary in Adelaide will bore a banker in Berlin. The only way to really engage is to be involved in a very specific market or community. The larger firms will have to segment their Twitter streams according to industry, practice area or both, or use sub-brands (such as Pinsent Masons’ Out-Law). I think that is why the smaller law firms have been more successful – they know their markets and can relate to and target much smaller and more relevant communities. Even some of the smaller firms (such as Inksters) have sub-accounts directed at particular interests. The individual lawyer account is perhaps the ultimate sub-account. As well as adding a human face, this account can be tightly focussed on one particular community, and I believe these two factors are why the individual lawyer accounts have typically done better than firm-branded accounts. Brian Inkster on 30/01/2011 at 9:37 pm. I agree that there are elements of the Intendance Report that are of value. If they had steered clear of the Top 10 list then we probably would not be debating the Report in the way that we have. This has resulted in any value the Report had being overshadowed and probably now simply dismissed. I think the “feel” for whether the account is working or not is probably as good a measure as any. I, not surprisingly, agree with your thoughts on segmented accounts and the ultimate sub-account being the individual lawyer. I can see no reason why the UK’s largest 50 law firms cannot mobilise at least some of their individual lawyers on Twitter. More @TMT_Lawyers is what they need! honestviews on 23/01/2011 at 11:15 pm. What are your views on the Intendance Report? Conflicting. A complete crazy botch up or motive driven – to create attention (the cynical in me) . Then I ask for who’s benefit? No. The only people that should be doing that are social media outfits wishing to provide services to law firms. Why waste time on analysing others if its of no real benefit to you. Is there a benefit to the collective of all lawyers analysing each others SM activity? To me that is just missing the point of SM entirely. Where is the authenticity in that? Everyone keeps saying how SM is about engaging in conversation. Would you go and analyse other lawyers/law firms effectiveness from a ‘real life’ networking situation? Time should be spent on content and conversation not reviewing. That is what is so great about SM the value lies in it’s very fluid nature. Smaller firms have more control and less risk i.e. they aren’t under a cyber microscope. It is also in line with business development for smaller firms and so there is more value in it for them. The best the big law firms can do would be to look at the likes of Ernst & Young. Thats probably as good as it can get for them (for now anyway). They could take the convoy approach but this removes their brand from the equation completely so from a strategic point of view its pointless. Lawyers move around and will keep their SM persona wherever they go. Too much focus is being awarded to what others are or aren’t doing and it seems the minute the legal press jump onto something it all becomes a little plastic. Why do you think the legal press have started to give legal bloggers/tweeters more attention? Yes because legal bloggers / tweeters give a real viewpoint – authentic and unbiased. Can they truly offer that themselves? No. Bloggers and active tweeters have the upper hand on authenticity, they have the upper hand (collectively) on content that people can really get into the moment with. So my view is yes, glow in the attention that the legal press give, celebrate it for what it is. Just don’t get caught up with the analysis. Leave that to them and continue doing what you do well; providing great content that people can engage with. Brian Inkster on 30/01/2011 at 10:11 pm. You have made some good points. Had a look at @Ernst_and_Young but not sure they are doing anything that the tweeting Big Law firms are not. Ernst & Young also appear to be concentrating on HR rather than anything else. Following only 3 but being followed by 8,258 is an odd ratio. I think any professional firm should look at actually following back relevant followers. The ‘convoy approach’ does not have to remove a firms brand from the equation completely. The main firm account is retained as the ‘battleship’ with the ‘destroyers’ working together with it. Some law firms have their individual lawyer accounts clearly linked to the firm in the following style @lawyersnameorinitials_lawfirmname. These firms will I assume have policies in place about what happens with that account if the lawyer in question leaves the law firm. Charon QC on 24/01/2011 at 1:09 am. I see that the Muttley Dastardly position paper on *How to use Twitter* effectively – drafted by Dr Erasmus Strangelove, Director of Education, Strategy and *Black Ops* has been assiduously followed by some law firms. I shall continue to keep an eye on the more absurd offerings of law firms on twitter et al… it would be rude not to. Brian Inkster on 30/01/2011 at 10:26 pm. I am sure Big Law keep a close eye on Muttley Dastardly LLP and try to emulate their every move. Lee Taylor on 24/01/2011 at 7:40 am. A thoroughly enjoyable read and fantastic summary of the developments over the last few weeks. As a legal marketer I have been following these developments with interest as I’m sure that a lot can be learnt from recent events. Well done Brian on this wonderful article and lets all hope that not only are the reactions to Twitteratigate observed but also taken on board for the future. Brian Inkster on 30/01/2011 at 10:39 pm. Thanks Lee for your kind comments. Mike on 24/01/2011 at 10:20 am. I think you always need to be a little cautious with the reports Intendance put out. I don’t know if you’ve seen their Fast 50 reports on the best legal websites but some of them are very dubious. Good post and analysis though. Brian Inkster on 30/01/2011 at 10:45 pm. I think that following Law Firm Twitteratigate future Reports from Intendance will receive a little more scrutiny before being referred to by the legal press. Jon Dickins on 24/01/2011 at 10:46 am. Very hard to see many of the large law firms ever engaging in a meaningful way on twitter. Big law firms are big gallumping bureaucracies full of people desperately covering their arses (and who can blame them when the Order of the Boot and long term unemployment awaits anyone who transgresses). I can just imagine the agonised way in which committees, sub-committees, sub-sub committees would need to be formed, convened and consulted, before tweets could be commissioned by the specially appointed Of Counsel Tweetmeister General that would then need to be checked, rechecked with the PSL, read through by the head of marketing, given the nod by the board, scanned by the managing partner, disclosed to the insurers before the hapless Tweet Associate was then allowed out into the scary potentially client-facing twittersphere to discuss what they had for breakfast in the staff canteen that morning. The problem, seriously, is delegation. How will anyone ever be delegated in a big law firm to do anything under the firm’s colours other than tweet bland corporate nonsense? Only individual lawyers will be able to engage meaningfully on twitter, and only then if they work for themselves or in an organisation enlightened enough to trust them, or if they just do it off their own bat and don’t give a monkey’s anyway. Of course, if any of the said large legal firms have a vacancy for Keeper of the Blogroll, coming with the now de rigueur 6 figure City salary and bonus, then I’m sure I’d be available. Oh yes. Brian Inkster on 30/01/2011 at 10:57 pm. Yes… Big Law are not as nimble as the smaller firms who can react quicker to IT changes. The decision by committee to which you refer would drive me crazy. Big Law do indeed need to simply trust their lawyers to Tweet and just let them get on with it. Big Law may then begin to realise the benefits of it. Do let us know if you get that job in the City as Keeper of the Blogroll. Nick Holmes on 24/01/2011 at 11:00 am. I think the main reason (big) law firms don’t get social media is simply that they are corporates. They can’t tweet (or blog) effectively because they can’t think; only individuals can think. A firm-branded Twitter account is only ever going to pump out news or PR snippets. What Intendance fail to point out (if they realise it) is that most of the active accounts they’ve looked at are feeding news headlines from their websites directly into Twitter. Hence the average tweet is “News headline – link to story”. That’s a perfectly valid thing to do, but it’s unlikely to be very engaging. Why are smaller firms doing a better job? Because often it’s the partners/lawyers who are the ones tweeting. They actually tweet thoughts and converse. Brian Inkster on 31/01/2011 at 8:40 am. Great that you have highlighted the fact that the big firms are mainly just feeding headlines from their websites into Twitter. I assume they have this automated so little thought probably goes into the use of the Twitter account. It is to them just another RSS feed. Of course no reason why Norton Rose and Herbert Smith could not do this to at least give them some activity on their Twitter accounts. I still wonder why more lawyers at the big law firms don’t grasp the nettle (if that is how they see Twitter) and give tweeting a go. They would then be no different from partners/lawyers in the smaller firms who are, as you point out, tweeting thoughts and conversing. Rupert White on 24/01/2011 at 11:30 am. Ahh, timeline stories – something newspapers, general or trade, just don’t do enough of any more. Mainly because they’re busy churning press releases without thinking about the content within them. Hence the Intendance report story. 3 Lawyers get involved in tweeting on industry issues/topics. If this is about engagement (whatever *that* means, and I say that as someone who ‘does’ social media) what makes me laugh is that this report has been very successful in developing engagement – just not the engagement that Intendance or the Lawyer might have sought. Is social media an example of how bad publicity might not always be good publicity? However, I do find it interesting that the use of a Twitter account in a ‘broadcast mode’ by a corporate entity is lambasted quite so heavily – I follow or have followed numerous companies (HTC, for example – I could name dozens) and almost without exception any interaction with them is false: they’re not really interacting with you, you’ve no idea who’s talking to you, and conversations are always pointed off to a marketing/product person toute suite. I’d rather have an honest approach from any business to Twitter (or any network), and one that’s obvious, than a lie. I’m not saying Norton Rose is doing the right thing – far from it – but it’s just failing to develop properly down Laurie’s line. That doesn’t mean that running a boring corp Twitter account shouting the corp’s news is bad, per se. I can’t imagine being interested in conversing with a Norton Rose corp account, tbh, and i can’t think of a real reason why I would be. I’d be interested in following and conversing with a Norton Rose employee or partner, because it’s personal, which makes me want to invest in it. NR, and almost any other larger law firm, is just failing to see that the really getting into social media means doing the personal interaction as well as the corporate. Corp Twitter accounts are always going to be, basically, RSS on steroids, and they’re very useful for that. If you have tens of thousands of followers to a corp account, why not use it to broadcast your news? It’s not a great mode – how do you know those thousands will be alive the news you send if you don’t care about interaction? Worse, in Norton Rose’s case, is having thousands of users and not even bothering to use them. But a lot of social media commentators expect every possible manifestation of social media by any group to embody every (good) thing about social, when that’s actually wrong-headed – networks like Twitter work best when they enable personal interaction, but they also work quite well at corporate advertising (ie PR/marcomms). What law firms (and many other businesses) are missing is that they need to do both – and the scary side is the personal side, which is what they’re not doing. Perhaps this story really shows up not how incompetent law firms are, but how frightened they are. Brian Inkster on 31/01/2011 at 10:37 pm. I suppose a timeline story (although I hadn’t really thought of it like that) is appropriate for The Time Blawg to produce! You just might see more of these on here in the future. Your analysis is a very interesting and thought provoking one. I had not considered that the big law firms might actually be frightened of Twitter! I agree that a corporate account cannot engage as a personal account can. Indeed I realised that very quickly two years ago when I started tweeting via @inksters. It didn’t take long for me to start tweeting, in addition and in a more meaningful and productive way, via @BrianInkster. Victoria Moffatt on 24/01/2011 at 12:20 pm. Great post – I wanted to see what everyone else had to say before adding my bit. I think the comments about the large corporates are probably true. Unless you can put a face to a name, it will always be difficult for them to engage effectively. This comes down to the ‘paper bag over your face’ comment and it is for this reason that individual accounts are always going to be more successful than corporate accounts. For example, I follow Duncan Bannatyne on Twitter. Whilst his posts are sometimes a bit close to the bone, I like him. He is interesting. He tells me when he is working in Darlington. I don’t know whether he has an account for his health spas or his hotels. Frankly I’m not interested if he does or not. The same goes for the big firms. They don’t hold interest for me as they are not human or normal. I can’t have a relationship with them. This isn’t just law firms, but any corporate entity. All of this said, I’m not sure that the big firms can get over this ‘lack of face’. They either need to release a bit of control and allow employees, whether dedicated tweeters or actual lawyers, to tweet and therefore show the human face of the machine. Brian Inkster on 31/01/2011 at 11:22 pm. I would not have thought of comparing @DuncanBannatyne to a lawyer and @BannatyneGroup (yes he does have a corporate account) to a law firm. It is, however, a good analogy. I had to search to find @BannatyneGroup. I do not follow that stream and can’t think of any reason to do so. However, like you, I do follow @DuncanBannatyne. The human face as you say is all important. I hope we do start to see some of these appear from behind Big Law on Twitter. Adrian Dayton on 24/01/2011 at 1:52 pm. Extremely well researched and spot on. You have painted a more detailed picture of the state of Twitter use by firms in the UK than anybody has done for the US. The large US firms are suffering from a similar problem, failure to engage. Excellent post Brian, really enjoyed this. Brian Inkster on 31/01/2011 at 11:34 pm. Interesting to hear that Big Law on Twitter in the US is no different from what we are experiencing in the UK. The ‘problem’ is no doubt global. Charles Christian on 24/01/2011 at 5:22 pm. Here’s some random thoughts – and sorry not to reply sooner but I had this month’s edition of the day-job newsletter to get out of the way. * We ran a story in our American newsletter in January 2010 which found the AmLaw 100 had a similar dire experience with social media – only 29 were regularly tweeting – the largest number of followers any firm was 1336 & 13 firms had less than 200 followers. This suggests that either Large Law is not engaging with social media tools OR – nobody is actually interested in listening to Large Law because they fear it will be the usual tedious & humorless stuff law firms always publish. * Intendance are – as someone has already noted – a web & social media services company selling into the legal sector so everyone-is-doing-it-wrong-so-you’d-better-come-to-us stylee reports are a standard marketing tool. And good luck to them. * Re the metrics. Anyone else (OK, apart from CharonQC, I’m the oldest here) have a feeling of deja vu with the mid/late 1990s when everyone was first getting into websites & getting excited about visitor traffic. The stats & metrics etc being quoted now about Twitter influence etc are a bit like those benighted days when people would quote the number of ‘hits’ their websites were receiving without realising the data meant nothing & that anyone could crank up the number of hits by adding a load of superflous graphics to a web page. But then, gradually, we all got a lot more sophisticated in our measuring methods. Brian Inkster on 01/02/2011 at 11:32 pm. …and sorry for my delay in responding to you but it has taken me a while to work through all the comments and I had IT and Marketing in the Legal Profession to do in the midst of it. Interesting to compare Twitter analytics of today with web analytics from the past. We like that sort of thing at The Time Blawg. There are of course existing tools available to a law firm to give them more of a handle on what is going on within their own Twitter account and the effectiveness of it. Hootsuite, for example, tells me that in the past 10 days there were 621 click throughs to ow.ly links posted on @TheTimeBlawg. Most of those taking Tweeps (probably Twegals) to this Blog post. Tweetmeme tells me that there have been 119 tweets about this Blog post as at today’s date. Law firms can use such tools to tell them how others are reacting to their Twitter stream(s). These metrics are perhaps more relevant to a law firm than those from the likes of Twitter Grader. Comparing such metrics between Twitter accounts may be more difficult but I am sure not impossible. As you say perhaps when you attend Legal Tech in New York this time next year everyone will be talking about that metric for Twitter that doesn’t give a non-tweeter a top 10 ranking. Miriam Said on 24/01/2011 at 9:19 pm. I can see that the big law firms are new to Twitter and they are at least putting their toes into the waters in an attempt to see what happens. At least they are trying. Large law firms are not used to Twitter or collaboration, therefore for them to join in with the Twitterati is a very scary thing for them and they do have their reputations to protect. I use the analogy of learning to swim. If you are learning to swim, then you start by dipping your toe in the water to see what it feels like, especially if you have never swam before. If you do not have a mentor or teacher to show you how to swim and that you should start off in the shallow end, then your confidence and self belief will be minimal. With someone to show you how to swim, you will be better equipped and more confident in swimming. The large law firms need a legal Twitter collaborator or mentor to show them how to swim in the Twitter pond. When this happens we should see the large law firms Tweeting confidently to all, whilst also being able to protect their brand and reputation. However, it is up to the large law firms to seek a seasoned mentor who will be willing to advise and guide them. I hope they will be contacting The TimeBlawg without haste for guidance and advice. Brian Inkster on 02/02/2011 at 12:10 am. Yes… they need to learn to swim in the Twitter stream. I agree that the large law firms could glean a lot by reading through this post and the numerous comments on it for guidance and advice on how best to Tweet. That advice comes from many seasoned Twegals: The ‘real’ Twitterati. They can also turn up at LEX2011 on 17 March 2011 where I will be giving a Case Study on ‘Using Twitter to raise your profile and grow your law firm’ (if Big Law wants to get any bigger through Twitter usage that is). Gavin Ward (WardblawG) on 25/01/2011 at 11:40 am. Number 4 on the list above (Engagement) is indeed the place where most big law firms seem to be losing out on the potential benefits of twitter. I wouldn’t say they are necessarily failing, but they certainly aren’t taking advantage of the opportunities thrown up by the social media beast that is twitter. It is comforting to see so many big players in game on here noting just that. It is important that social media accounts are not just delegated to trainees, support staff or, arguably, even the marketing department of law firms. Indeed, perhaps the best way is for the marketing department to delegate twitter accounts to the fee earners. I’ve been seeing this trend in some large law firms in the UK recently and I hope that it continues through 2011. Thanks to Brian for taking the time to compile this expert analysis. Brian Inkster on 02/02/2011 at 12:25 am. Yes… engagement is the key. I agree that it is important (probably essential) for fee earners to be Tweeting (in convoy of course). It is not enough for them just to be on Twitter – they also need to engage and that outwith their own law firms. Some of the larger (probably really medium sized) firms who are getting their fee earners to Tweet at times look like they are using Twitter as their own in-house intranet. That rather defeats the purpose and does not in effect move them onto Laurie’s stage 4. Peninsulawyer on 25/01/2011 at 12:57 pm. As Victoria (and others) have mentioned you can’t really have a conversation with a law firm – or any other corporate body. You can of course chat with the individuals within the firm – and where there are firms which are using Twitter to engage and converse this is generally what is happening (even if the account is badged as XYZ Solicitors). This leaves the big firms in a difficult position. Partners could tweet individually, but the evidence so far seems to be that with a few exceptions they aren’t interested in doing so. 2) It will build relationships and engagement with these junior lawyers… which the firms don’t want either as they want these relationships to be tied to the partners (hence the focus on client relationship partners, annual CRM reviews etc. etc.). The “third way” seems to be to get the professionals in (PR agency or some other expert) to tweet on your behalf, but it is hard to see how this can really be genuine or engaging. My prediction is that until (unless?) the partners get on board and start to tweet individually all we are really likely to see from the largest firms are (i) RSS like corporate feeds (ii) some PR agency delegated tweets and (iii) the occasional “rogue” personal account from individuals within the firm. Will this happen? I think it will probably be driven by whether their clients and peers are showing up on Twitter. In my view part of the reason why small firms are more active on Twitter is that their clients tend to also be smaller and more flexible and are therefore earlier adopters of things like these. I’m not sure whether are that many investment banks, private equity houses etc. using Twitter either. One interesting development today is that Mischon De Reya seem to be hitting Twitter with an account which promises to offer something different (“it’s business, but it’s personal” being the strapline). Interesting to see what this offers. Brian Inkster on 02/02/2011 at 11:52 pm. I think size shouldn’t matter and that the big law firms are missing out on the potential for refferal work from the smaller firms by not engaging with us on Twitter. However, maybe they consider the potential of that work to be small fry for them. Maybe it is. But there is always the potential for the smaller firms to be approached about work they simply cannot do and require to refer onto larger firms. I think you are right that “until (unless?) the partners get on board and start to tweet individually all we are really likely to see from the largest firms are (i) RSS like corporate feeds (ii) some PR agency delegated tweets and (iii) the occasional “rogue” personal account from individuals within the firm.” I think we might wait a while to see them get on board and are more likely to see the occasional “rogue” account from inspired individuals. More than a week has now gone by since the @Mischon_de_Reya account was launched. I have looked at their 56 tweets. I am afraid that there is no sign of anything too different and certainly no engagement as such. They are tweeting about currrent news and retweeting a bit more than you perhaps normally see from the Big Law corporate accounts. There is very little broadcasting as such about themselves – although I think an element of this is permissible and should be expected. Most importantly though engagement is not really happening (although being a new account it can take a little time for this to happen). However, as you and others have said can you ever have real engagement from a purely corporate Twitter account? So @mishcondereya may have been one of those many accounts that the Intendance Report could not identify as actually belonging to the law firm that you may on the face of it think it belonged to. Given that the first and only tweet of @mishcondereya is “Mishcon de Reya Solicitors” you would think the real Michcon de Reya would contact Twitter to get this account transferred to them. travisthetrout on 25/01/2011 at 8:31 pm. Great post Brian. Took me a while to read on the mobile but I got there (worth it!). Although I believe that big law firms will not learn how to use twitter well – I do have to say at least they are trying. My firm (which comes in the top 50 category) does not use twitter, and I do not think (due to complicated internal decision making procedures) – they ever will. We have had enough trouble promoting LinkedIn and using the company profile and even have difficultly with more simple things like approval for advertising external legal events internally office wide. Something tells me it would be even more difficult to get us twitter (before even considering whether it would be used properly). The expression “too many cooks…” springs to mind. Brian Inkster on 03/02/2011 at 12:10 am. Great to hear this from someone on the inside. You sum the ‘problem’ up nicely with “too many cooks…”. I do the cooking at Inksters myself. This is no doubt why we, like many of the smaller law firms, manage Twitter a little bit better than Big Law. You are clearly one of those occasional “rogue” personal accounts that Jon (Peninsulawyer) mentioned. Good on you for this. Gavin Ward on 29/01/2011 at 12:29 pm. Perhaps you have some of these or similar but hopefully someone may find them useful for their own wordpress blogs. If anyone requires to, please drop me an email at wardblawg@gmail.com and I’d be happy to provide further information. Glad to see the twitteratigate issue generating further interest. Brian Inkster on 03/02/2011 at 12:17 am. I will take a look at those. Being very new to WordPress I still have to properly explore plugins. Law Firm Twitteratigate has certainly generated a lot of interest. It has taken me some time to work through all the comments but pleased to have now done so. A blog post summarising the salient points from all the comments may be a useful exercise for me to undertake, if I can find the energy to do so! LondonLegalPR on 03/02/2011 at 9:22 pm. Coming late to the party, but wanted to add my views as a legal PR. In the interests of transparency I will preface my comments by saying that my professional twitter account is very new, but I’ve been on twitter in a personal capacity since its very early days. I completely agree with Amanda (@_millymoo). I don’t think large law firms should even attempt to have a ‘corporate’ presence on Twitter. Twitter is personal, its intimate, fast moving and its focused on building networks through shared, personal nterests…none of this sits well with the structure or culture of any major law firm that I know of. If you accept that you can’t brand a law firm, despite what the marketers would have you believe, on the basis that any law firm consists of x partners who share costs and a sign on the door…then the same applies to Twitter. No individual at any law firm can possibly be expected to tweet meaningfully on behalf of the whole firm and I think any attempt to do so is entirely misguided. There are many, very engaging Tweagals who work for large law firms. In my view they have become Tweagal ‘personalities’ because of who they are and what they have to say, who they work for is irrelevant. As a fellow tweeter, I couldn’t care less who xyz works for, I’m only interested in how engaging they are. I suspect there is a place for ‘micro-tweet accounts’ for parts of large law firms. Instead of attempting to tweet ‘corporately’ on behalf of the whole firm, or having individual lawyer tweet with the ‘all views are my own’ disclaimer, what about having small groups of lawyers tweeting and focusing on their area of specialism, the more niche the better? Law firms don’t build reputations by being top of the pile for EVERY area of practice, they build it on the back of being outstandingly strong in a small number of practices. So why not leverage that? Of course, ‘micro-tweeting’ with success depends on having sufficient lawyers in the appropriate areas who ‘get’ Twitter and are prepared to really engage. Probably the answer, as in most things in law firms, would be to make ‘tweeting with excellence’ part of the remuneration structure. I jest. I think? Brian Inkster on 03/02/2011 at 11:06 pm. Agreed that many law firms operate like a group of sole practitioners sharing support services (even if they don’t see this themselves). So your point on the same applying to Twitter is a very valid one. I had not really thought of it quite like this before. I am in favour of ‘micro-tweet accounts’ given that I tweet at @CroftingLaw. I agree that “the more niche the better”. I like your idea of making ‘tweeting with excellence’ part of the remuneration structure (even if you wrote it in jest). It would be interesting to see if this did in fact improve engagement at Big Law. LondonLegalPR on 03/02/2011 at 11:21 pm. After too many years to mention at Big Law I can confirm that only the Big Money Stick ever seems to make an appreciable difference to behaviour. But perhaps Twitter just isn’t the right place for Big Law to be? And if it’s not…then that’s OK. Where’s the rule that says that every communication ‘vehicle’ (ugh hate that term) has to be used? The basis of old style marketing was to craft your message and use the most appropriate ‘vehicle’. I remain unconvinced that Twitter, with all its merits, is the place for Big Law. Wish it was though. I’m sure I could build a very lucrative business out of it! Brian Inkster on 03/02/2011 at 11:44 pm. Good point. Maybe @NortonRoseGroup had it right all along with no Tweeting. But they may have blown it today by starting to tweet: 3 broadcast tweets so far. Amanda Bancroft on 03/02/2011 at 11:26 pm. Secondly, I called Intendance earlier this week. I was starting to wonder if we had all got things a little wrong, and felt they should have the chance to put their side of the story. When I received a call back, I was told ‘This report was done in December. We had hoped this would have gone away by now, but it seems you guys will not let things lie’. Post script… yes, I know I said I had something to say about blogs. But that in itself is a blog post, which will be up on Legal Two soon enough! Brian Inkster on 04/02/2011 at 12:03 am. If I were at Intendance I would have been commenting on the various blog posts that have arisen on the subject (including at The Time Blawg) at the outset. Silence is not necessarily the best policy, as you say, for a Digital Communications Agency. Looking forward to seeing (at Legal 2.0) that blog post about blogs arising from Rob Bratby’s comments above. Brian Inkster on 04/02/2011 at 6:39 pm. “Whoever said social media for professional services was dull? Thinking back to 10 years ago when we published our first research for law firms, the most we could hope for was a few press mentions and word-of-mouth to spread the news. How things have changed. A relatively low key publication has become a cause célèbre in some online circles, sparking impassioned debate on all sides. Somehow it seems apt that this debate was fuelled by the very platform the research focused on: an analysis of the use of Twitter by law firms. Jonathan Lea on 04/02/2011 at 8:21 pm. Well, I certainly won’t be recommending Intendance to anyone, or thinking of using them, anytime soon! From their original press release in The Lawyer, to their failure to engage in any meaningful way with the blogosphere who commented on it, and to the complete lack of any participation from their lauded ‘top 50 firms on twitter’ in the ensuing debate, Intendance appear to me to be a thoroughly discredited (maybe fraudulent would be too strong a word?) ‘digital communications agency’. I look forward to seeing how they respond to all the criticism they have received and I hope, for their clients’ sake, they now raise their game accordingly. On a slightly separate note, social media seems to be leading to a re-personalisation of business (note that the Intendance website contains no reference to any person who actually works there = distrust) and I think faceless corporate brands with rigid hierarchies and bureaucratic structures, employing tightly controlled daleks (in keeping with Brian’s theme) will struggle to survive in an ever faster changing business landscape where technology is levelling the playing field more and more, if not benefiting, the small and flexible/smart organisations. As an example, I’ve worked at some big law firms in my time, but when i soon start up on my own I’m confident that I will be able to buy and call upon superior technology and better serve my clients than I would be able to at a bigger firm that doesn’t understand (modern) business, IT and communications. Brian Inkster on 04/02/2011 at 11:46 pm. So… yes, it appears that Intendance are ‘engaging’ in the wrong places with the wrong ‘people’. Jon Busby on 05/02/2011 at 7:56 am. It’s been a while so I thought I would drop in. Seems very simple really, if you don’t understand the ‘rules’ of the game, don’t play. Or just watch share and learn. – believe that it will blow over without realising that in a social media world there has been a power shift to the crowd. Crowds are powerful, legal crowds…well tenacious does not do them justice. What I am finding so fascinating is how crowds and not agencies/vendors are refining debate like this and solutions like mine. Welcome to the niche by niche change world, empowering, liberating…'innit! This is social and as a product provider that is both scary and exciting.Toes I am on. Brian Inkster on 05/02/2011 at 1:13 pm. Good points. I think Intendance should have been commenting on all the blogs that mentioned them and that directly on those blogs. They should also have used Twitter, in addition, for the same purpose. It would have done them no harm (indeed probably a lot of good) to have held their hands up and admitted that maybe they should not have used Twitter Grader and, in hindsight and with the assistance of the Twegals who had brought it to their attention, they would not be doing so again. These are all points which have been brought out in the many blog posts and comments on the subject but without Intendance receiving any credit for actually making them in the first place. This fact has been lost and overshadowed by the Top Ten Twitter Grader list and that fatal inclusion of the non-tweeting (at the time – they have since started tweeting) @NortonRoseGroup. Had Intendance avoided Twitter Grader and concentrated on the ‘real’ findings of their Report they could have created a positive debate on the whole subject that would have brought out many of the comments we have seen at The Time Blawg but without casting Intendance in such a poor light. There are a lot of lessons in this whole episode for the Marketers as well as for the Lawyers. Wen on 05/02/2011 at 10:36 pm. Even with the most cursory read, one can see that those accounts mirror the press release RSS feed of each firm. My own thoughts are similar to those already expressed by the previous commentators. It’s difficult to see how big firms can add anything of direct value to the types of clients they service. Relationships between big firm partners and lawyers and their in-house counterparts are, as far as I know, usually developed over meetings, cocktail evenings, coffees, phone calls and emails. In-house counsel do not expect/want to receive “advice” (in the narrow sense of the word) over a non-confidential 140-character tweet. Over the longer term, however, I think Twitter will be a meeting place for like minds. I think SM-savvy private practice lawyers and in-house lawyers will meet/bond over Twitter, engage/debate in a few @ messages, maybe meet over coffee, then build the relationship from there. It would be no different from meeting a potential client at a seminar or conference. Perhaps a way forward is to have a corporate account, but use that account as a “marker” for all the individual accounts under it (for example, I could be the account “@wen_at_corrs”). Individual tweets would be retweeted on the the corporate account to form an overall firm timeline. Taking a leaf from my old English teacher, I think it’s important to write to our audience – we should ask our clients what they expect of their law firm in terms of SM. Do they want quick, snappy updates about legal issues? Do they want debate about legal issues? What about live-tweeting from court, for example? (I tweeted while the decision of Roadshow Films v iiNet was being handed down under the hashtag “#iitrial”). We need to find out what clients want, make an intelligent guess about what they might want in the future and act accordingly. I would love to hear your thoughts on the above. Brian Inkster on 06/02/2011 at 2:25 pm. It is great to hear a perspective on this from Australia. It is good to see so many Australian law firms on Twitter. I had not been aware that they had been jumping on the Twitter bandwagon in such numbers and had assumed (erroneously) that you were perhaps lagging behind your US and UK counterparts. However, as you say (and a quick look at the accounts you have listed shows) there is not much engagement going on at the big law firms in Australia either. Your “meeting place for like minds” is an excellent way to describe Twitter. That is exactly where I have seen the benefits of Twitter. Engaging first on Twitter and then building the relationship through some or all of: LinkedIn, blog comments, e-mail, Skype, phone and (best of all) meeting up. The corporate account as a marker is happening at some of the larger (probably really medium sized) law firms in the UK. This can work if your name and the law firm name are quite short (as in your example of @wen_at_corrs). However, as you are limited to 15 characters in a Twitter account name this could prove problematic for a law firm wanting to maintain its brand on Twitter. I have seen some firms take the approach of using the initials of their lawyers: Thus you would be @whw_at_corrs rather than @wen_at_corrs. Whilst this gives consistency and allows for corporate Twitter accounts for individual lawyers, where the firm wishes to retain its brand identity and control (with the firms perhaps ‘owning’ the accounts in these cases), it is not always easy to remember who is who at the firm. You tend to remember someone’s name rather than their initials. It becomes a bit like a reference on a letterhead rather than an engaging individual. I think individual lawyers can carve their own identity under their own name on Twitter but still remain clearly part of the law firm with tweets about that firm from time to time and their bio linking them to the firm (much in the way that a LinkedIn profile and updates would). Some law firm’s may however have concerns about the relationships built up under such ‘personal’ accounts should the individual lawyer in question leave the firm for pastures new. @BrianInkster please don’t tell me you just RT @thetimeblawg, which is another twitter account of yours. However, as you say what we think is right may not be what our clients want. Although, my experience with social media to date is as a useful networking, collaborating and referral tool with other professionals rather than one used to directly communicate with clients. I think we will see this changing though and we do need to explore properly what our clients do want from us on social media to make that change happen and, more importantly, work. AdrianDayton on 06/02/2011 at 5:10 pm. Great points Brian, I’ve actually spoken to a couple Corrs folks about social media and was fortunate to have Lawrence (last name escapes me) attend my social media event in Sydney last year. Corrs, just like the other big firms in Australia, don’t seem to quite be comfortable with allowing attorneys to participate and engage on Twitter. I expect to see this change in the next year. Your thoughts Wen? Brian Inkster on 07/02/2011 at 10:47 pm. I was reading today your blog post: Twitter: Still misunderstood by law firms. Some interesting points in there which (although originally written before UK Law Firm Twitteratigate broke) shows similarities between how big law firms are using Twitter in the US and in the UK. Interesting to see your list of US law firms that are like the (now one time) non tweeting @NortonRoseGroup. It is clear from what you say that those that do tweet just broadcast. I like your thought: “I’m not sure which is worse: mega-firms not using Twitter, or using Twitter in an ineffective way.” In effect Twitteratigate has shown that the top 50 UK law firms are either doing one or the other and nothing else. “There is also a community on Twitter that is very open to networking and conversation. This is one of the biggest flaws in most law firm social media strategies — they are all about broadcasting, and ignore the opportunities online for conversation. Twitter makes it easy to meet new business contacts, set up phone calls and get meetings with potential referral sources. What can you possibly say in 140 characters that can help with business development? How about, “Let’s have lunch next Tuesday at 12:30?””. Wen on 10/02/2011 at 10:28 am. Thanks for the comments Brian, Adrian. Much appreciated. Adrian, I agree with your comments that Australian big firms aren’t fully behind their lawyers tweeting and the firms haven’t fully realized the full capacity of Twitter. We’re still in a transient stage – as to be expected, big firms are slow to change. Perhaps one day. Angela Huck on 07/02/2011 at 10:47 am. Brian Inkster on 07/02/2011 at 7:25 pm. Angela Huck on 08/02/2011 at 9:40 am. Brian Inkster on 08/02/2011 at 10:14 pm. Law firms need to identify the lawyers that are most likely to take to Twitter. Probably the more social ones who would be happy attending social events and networking. Get those on first and the others just might follow. If they don’t then that is not a big problem. Everyone has a role to play within the firm and if you get some lawyers actively engaging on Twitter that is better than none. It is also better than a corporate account that does not tweet or at best only broadcasts. All the best with Phase II of your Twitter plan and do let us know how you get on with it. Pingback: Off topic zum “Twitteratigate”: Jurist und Twitter | Kartellblog. Brian Inkster on 07/02/2011 at 7:37 pm. Good to be mentioned in Germany. I used the Babel Fish to translate the Kartellblog post from German to English. Not perfect by any means but makes it understandable for those, like me, who can’t read German. Nick Holmes on 17/02/2011 at 2:36 pm. Brian Inkster on 01/03/2011 at 11:42 pm. Yes… a good example of a niche Twitter account by a lawyer. One where ‘Tweeting in Convoy’ is probably not necessary. Jane Rae on 01/03/2011 at 12:28 pm. It is a fantastic article with such thorough links – well done Brian. I love the tweeting in convoy and believe this is the way forward. People may check the big firm twitter and then be able to branch off to the more relevant tweeters and see the human face of the firm. We are not a law firm but are starting to implement this policy. The stumbling block I could foresee is the law firm freeing up enough time for those they choose as their tweeters to research and engage fully in twitter as I find it very time consuming as so many great posts and blogs that link in. I have 8 new tabs open from reading the post and comments to go through once I have commented! Re the Australian engagement in twitter, our experience and subsequent research has shown us that while internet use there is huge, the australians are not as transactional in their use of the internet. Online supermarket shopping is only just developing and many of the major stores don’t have online shopping portals. It feels as though is is used more passively and they only interact with known and trsuted brands. Maybe this relates to their lesser use of tweeting. I’d be interested to hear any Aussie comments on this….. Thanks again Brian for a really great post and for encouraging so much good comment. Brian Inkster on 01/03/2011 at 11:48 pm. Late comers are more than welcome. The more the merrier! The stumbling block you foresee is definately there. Twitter is not for everyone and some firms may struggle to find enough of their lawyers willing to tweet in a way that will create an effective convoy. Interesting what you say about the differences in Australia re. use of the internet. This was not something I was aware of. Wen on 02/03/2011 at 11:25 am. From my Australian, Gen Y lawyer point of view, I don’t think see differences in our use of the internet. The English-speaking side of the web is very US-centric, for obvious historical reasons, and that might explain why Australians gravitate towards large (mainly US) web brands. As to online shopping, there is a real tangible advantage to shopping through foreign websites (dollar parity with USD, more variety and private imports under AUD1000 are free of VAT/GST – that might explain my numerous TM Lewin shirts). Australian-based bricks-and-mortar stores and online stores have been struggling to cope and are urging for (protectionist) tax legislation (see, for example, this ZDNet AU article: http://www.zdnet.com.au/online-gst-inquiry-kicks-off-339309253.htm). Moreover, I don’t really see a connection between online shopping habits and our use of Twitter. Perhaps you might want to browse my Twitter followees and followers lists for numerous examples of Australian lawyers actively engaging on Twitter. Also, we were the first common law jurisdiction to “tweet” the result of a court decision live inside the courtroom (see Roadshow Films v iiNet Limited  FCA 24 at , which was tweeted under the hashtag #iitrial and #iiappeal: http://www.austlii.edu.au/au/cases/cth/FCA/2010/24.html). On the whole, I think Australians are savvy web users. Jane Rae on 03/03/2011 at 7:53 pm. Thanks for the comment. I really hoped I’d get a response just to hear your point of view. I know Australians are in the top 3 gloablly on internet usage so you are definitely savvy users but we just don’t see the transactional side as being as developed. I found the same when I spent 4 months living in Queensland. On a food shopping example Coles and Woolies are still behind the UK – I can spend $30 a month and have Ocado come and deliver to me here as many times as a like, even if just for a loaf of bread or a mango each day. I can also now use my phone to capture the barcode of any food – say nice bottle of wine at dinner – and it will be added to my next online shopping order. We found the same from the SEO agency we work with who cover UK and Aus retail clients. Your usage is also so much more weather dependant – on a sunny weekend day there visits plummet! I had read about the call for tax legislation but don’t see how it can be enforced internationally so I hope you will benefit from buying through foreign sites for a while yet and build that TM Lewin collection up! My comments come because we were just working with our office in Sydney and our SEO agency there to try to understand more about how the Australian’s interract with the internet and social media like Twitter. You have a great – and very international – following but when we recently did market research to Australian lawyers, we found that 99% (of 200) did not use twitter. So we are trying to understand the profiles of those who do connect through it so we can target our marketing. Many say they don’t have the time they think it will take. How do you all manage that, as to be so engaged takes time? Do you think it brings you professional benefits and if so, is it networking with peers or bringing in new clients or both? Also how involved are you in SM sites like scribbd, stumbledupon and delicious? We just finished a global legal salary survey (couple of trends – Aussies do better than UK on flexible working options but worse on holiday and all high earning female lawyers think they are paid less than their male peers) and we think the next survey should cover lawyers use of social media so we can try to identify trends by age, gender, location etc. It will be an interesting one, as it feels from our research to date, that there are a small minority who have embraced it and are passionate about the benefits, then some who dabble and a majority who are not engaged with any SM platform. We got over 500 respondents last time so hopefully can draw some interesting conclusions. Anyway thanks for posting back with an Australian lawyer response, I really appreciate your thoughts. Have a great Friday! Laura on 17/03/2011 at 5:41 pm. I’m disappointed that Macfarlanes weren’t included in the Intendance report – we’re #28 law firm in the UK, according to legalweek.com and we have a twitter account (@macfarlanestax) – albeit specific to tax matters, but still – we’re putting up thoughtpieces created by us *fairly* regularly. Next up is to improve the number of followers and to get people retweeting our work. Brian Inkster on 19/03/2011 at 6:18 pm. Perhaps the fact that it was a niche Twitter account specific to Tax slipped it past Intendance. They were on the whole I believe looking at the main Twitter accounts for the firms themselves. i.e. Jon Bloor’s battleships as opposed to his ‘Tweeting in Convoy’ destroyers (which in effect is what @macfarlanestax is). Have you thought about creating a ‘battleship’ account for the firm itself in addition to and to work alongside your existing ‘destroyer’ account? Also, and perhaps more importantly, you should be getting your individual lawyers to tweet. Only they can create the real engagement that could make Twitter a powerful force for Macfarlanes.